On 27 September 1943 Halifax ‘B’ of 58 Squadron took off from Holmsley South in the New Forest, north of Christchurch, at 1128 mid-day for a U-Boat patrol in the Bay of Biscay. 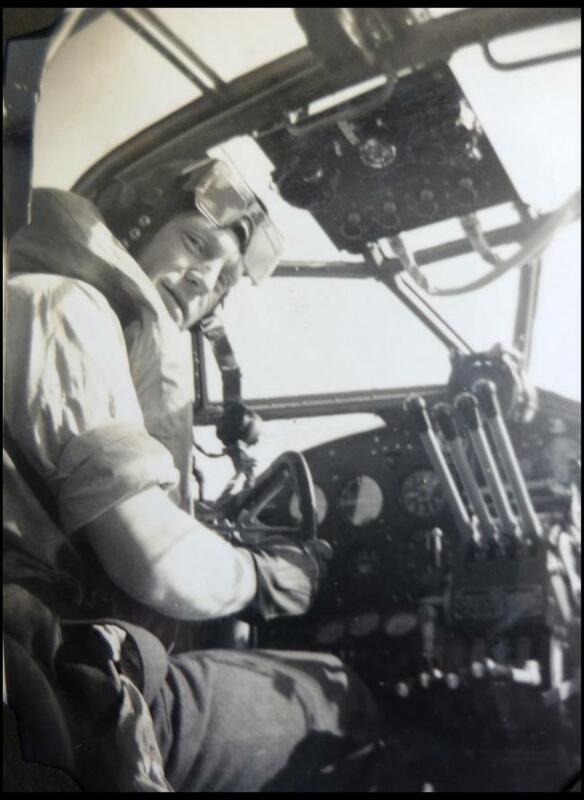 The crew consisted of F/O Eric Hartley, Group Captain R C Mead Station Commander of RAF Holmsley South flying as second pilot, a Canadian navigator, a flight engineer and four Wop/Air gunners(Wop/Ag’s). 58 and 502 Squadrons, equipped with Halifax Mk.II with Merlin engines were the only two operational Halifax squadrons in Coastal Command specially modified with extra fuel tanks in the wing bomb bays to give an endurance of 12 to 13 hours. They were also equipped with the latest Mk.III Radar, Gee navigation aid, Mk.XIV bombsight, a quantity of different types of Flares for night attacks. They carried up to eight 250lb. depth charges for attacks on U-Boats or six 500lb. bombs when on Anti-Shipping patrols. B/58 had reached the southern extreme of its patrol about 150 miles out in the Atlantic from northern Spain at 1705, still daylight, when a radar contact revealed a surfaced U-Boat. Eric Hartley flew in to attack at 50 feet and, on pilot release crossed the U-boat at 30 degrees to the port bow dropping eight depth charges. Fire was exchanged but the attack was very successful straddling the target just aft of the conning tower. The U-boat was seen shortly afterward with the bow rising at an angle of 20 degrees then slid under. (The attack on U-221 actually took place over 500 miles from north west Spain and 786 miles West South West of their base at Holmsley South – Ed.). 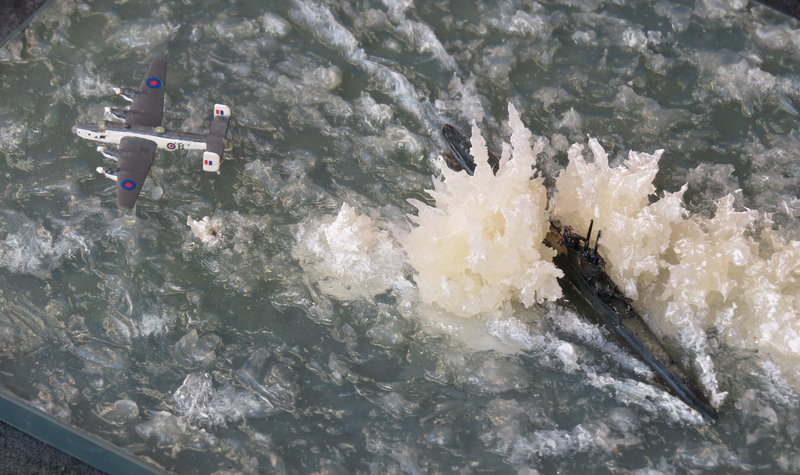 (1/700 scale Diorama and Photos by Henry Goodall) ‘B’ sustained at least one hit in the starboard wing setting rise to a fire in a fuel tank which quickly spread towards the fuselage. Ordering an SOS to be sent, the only option left was to ditch, at 110 kts without flap. The tail broke off, water was rushing in and the aircraft stood on its nose, most of the flames were extinguished. Most of the crew got out through the escape hatches, but the rear gunner was in transit from the turret and was not seen again, and the front gunner was briefly held by the others, but slipped from their grasp and was drowned. Fortunately the dinghy appeared to be undamaged, inflated, and was boarded with difficulty. Unfortunately, however, there had been no time to bring emergency dinghy equipment (e.g. food, water, dinghy radio etc.). The ditching was three miles or so away from the U-boat which was not seen again. There was doubt about the SOS as it was sent in haste at a height of about 300 feet about 700 miles from England. The first night was a trial. the crew were wet, shocked, cold and seasick. The next morning they found a quantity of emergency rations, Horlicks tablets, barley sugar, chewing gum, chocolate, condensed milk, and, most important five pint tins of water. For six people, with a prospect of a long wait for rescue, no food was consumed on the first day; subsequently very careful rationing was maintained. On drier days clothes were dried out, some even freshened up with a swim. 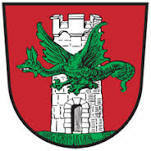 Rainwater was collected in handkerchiefs. A few days later the sea became very rough and the dinghy overturned. With sensible forethought rations were saved. Efforts were made to fish, without success, and jellyfish were caught but found to be foul and bitter. A Very pistol and cartridges had been found. This was carefully stowed and secured for possible future use, even tested, when a light appeared on the horizon, only to find it was Mars, bright and red. Nights were cold and cramped. Luckily it was late October, not as icy cold as winter but mental and physical reserves were weakening after day after day. One crew member became delirious. Efforts were made to rig a sail made of two shirts with the idea of using the westerly winds to take the dinghy nearer convoy routes or air patrols. Ten days had passed, and spirits were low indeed. Suddenly everything changed – one afternoon, 8th October at 1430 hours the mast of a ship was sighted. Three Very cartridges were fired-three naval vessels came to them-in twenty minutes came alongside to pick them up. The rescue ship was the destroyer MAHRATTA homeward bound from Gibraltar in company with two other destroyers Matchless and Valiant. Six weary survivors were given wonderful care and attention. They were landed at Plymouth two days later and were taken to the Royal Naval Hospital, Plymouth. 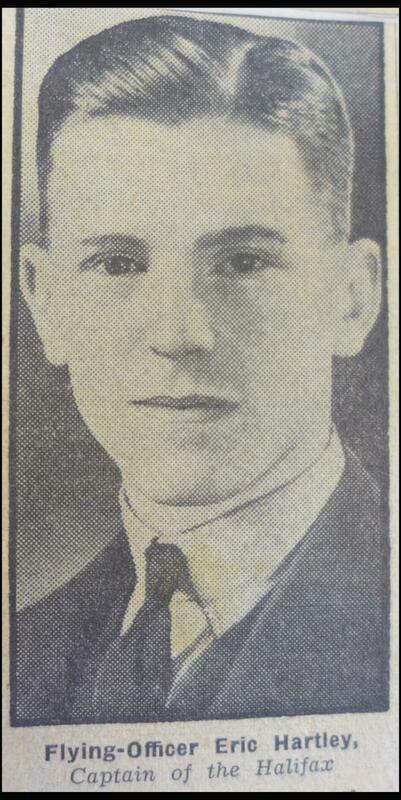 It was sheer chance that they were found by HMS Mahratta as no SOS had been received. 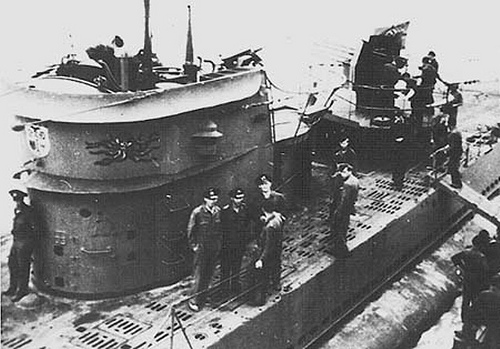 The U-boat was later identified as U221, sunk with the loss of all hands by B/58. 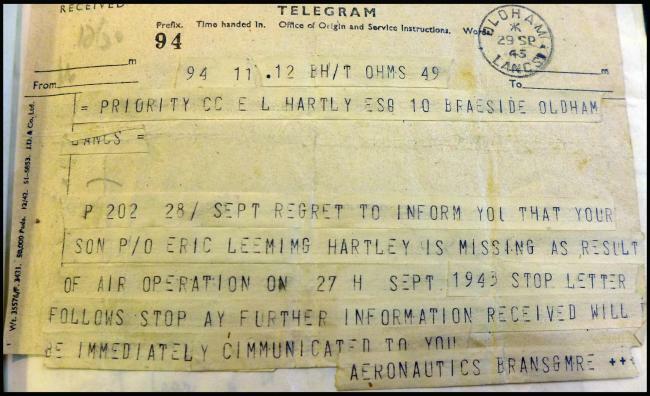 Eric Hartley was awarded the Distinguished Flying Cross and Ken Ladds the Distinguished Flying Medal. 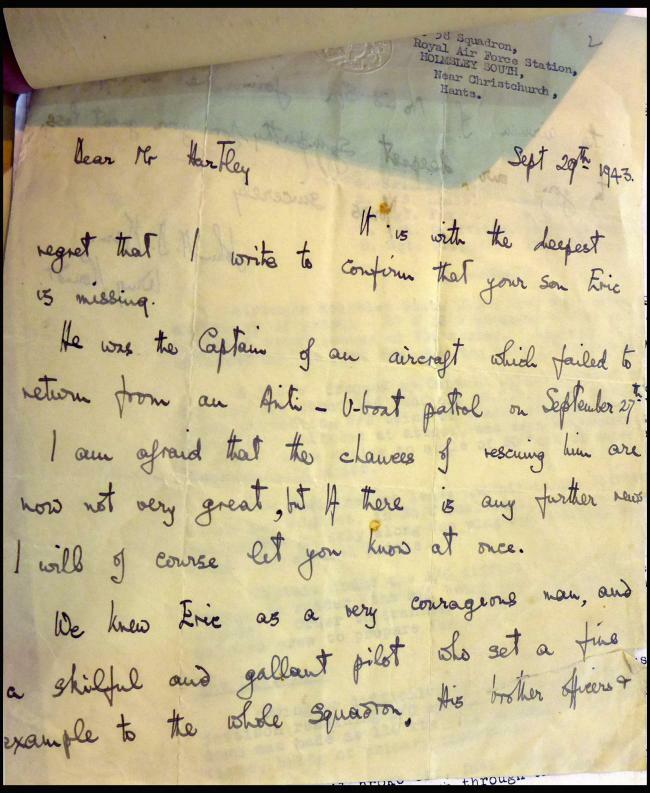 As a sad footnote, Eric Hartley was to read, not long after, that the Mahratta was sunk while on Russian Convoy duty, with only three survivors. 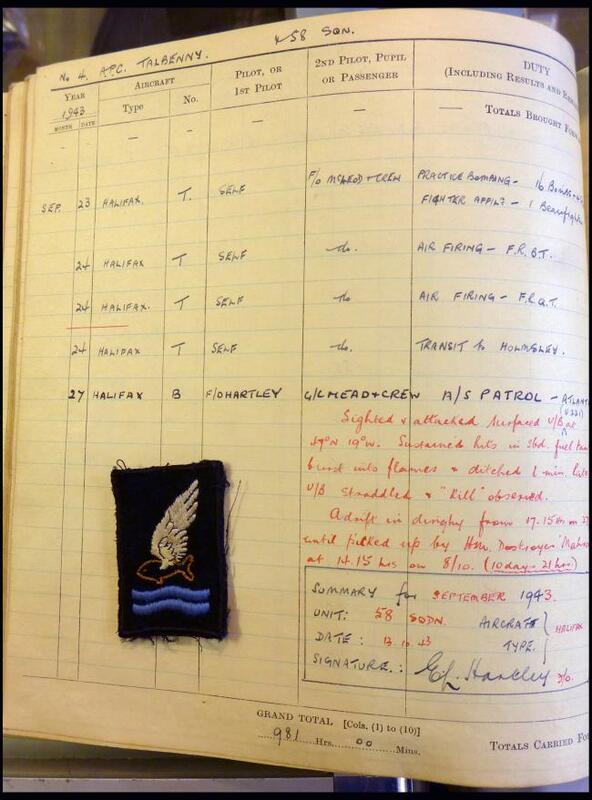 Eric Hartley returned to fly Halifaxes with 58 Squadron and moved to fly from St.Davids in December 1943. He died about ten years ago (written in 2004). The account reads: “My attention was momentarily drawn to the shards of light that were wiping up towards us. 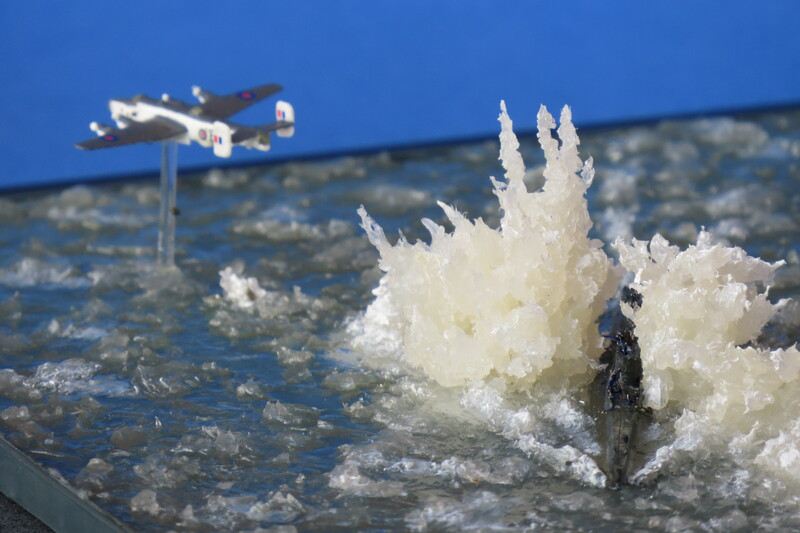 The enemy’s accurate return fire was immediate with cannon fire, hitting the Halifax’s second starboard petrol tank, the starboard wing was engulfed in a ball of flames devouring the surface metal, and the fire spread to the fuselage and port wing. The heat was intense, melting piping and cables, the rudder control was out of action and it was decided to ‘ditch’ the aircraft. The captain, immediately ordered everyone to their ditching stations. Hartley struggled to maintain in control of the stricken Halifax, and three miles beyond our target, Hartley put the Halifax down, but as we hit the water there was a heavy impact. It was like hitting a brick wall, which threw me forward right into the fire, gashing my head pretty badly and was bruised all over, with light burns. Hartley did his job beautifully and the whole crew escaped out of the aircraft in a most orderly fashion except we’d not realised the plane had gone vertical. Plunging into the water was a shock to my system, I had held my breath and when I came to the surface took a couple of lung falls of air and began to swim using front crawl towards the dinghy, I saw that our wireless operator the Welshman Sergeant Maldywn Griffiths was in extreme difficulties having fallen onto debris. One of the other men Bach was trying to get him into the dinghy but was weighted down with sodden flying clothing and Mae West; could not assist in moving him. I tried to do so, but could not get any leverage. Griffiths was unable to help having been concussed. I kept being immersed in the water, swallowing a considerable quantity, fighting for air, in between which made my lungs hurt.